Alexander Azar is a student at Clark University. He is an ISA Featured Blogger and is currently studying abroad with ISA EuroScholars in Leuven, Belgium. As my first month living in Leuven, Belgium comes to a close I feel as if my perspective has changed for the better. At first, I was very nervous about fitting into a new world as I have never lived away from home for longer than a week before this. Growing up with an anxiety disorder, I was taught not to trust myself and rely on others to solve my problems. It was difficult to escape this mindset at home because I could always fall back to my childhood routine like a safety blanket. I made the decision to study abroad in a place I have never seen before and had scant knowledge of because I knew it was time to hold myself accountable. Living on the other side of the Atlantic Ocean left me wondering about the amenities I took for granted at home. How could I travel when everything is written in Dutch? How would I get my monthly medicine prescriptions? My most important question was, how will my new colleagues perceive me and will they accept me for who I am? 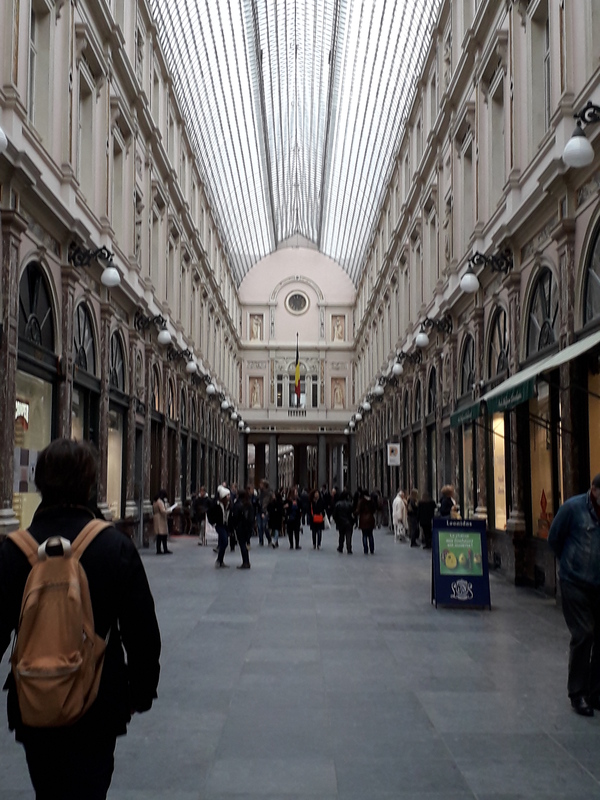 The Galeries Royales Saint-Hubert are a series of arcades built in the 19th century inspired by Italian architecture. Treat failure as an opportunity to learn more: Growing up I was so worried about failing at something I wouldn’t even try to accomplish it. In time I realized that thinking about what could have been is much worse than trying to make it happen. Slowly, I have been taking new risks to try and expand my horizons. Reaching out of my comfort zone has taught me that the only way to learn is through accepting adversity as part of the journey. Honesty will lead to new friends: Another challenge for me is meeting new people and sustaining a friendship with them. Thankfully being an exchange student gives me the chance to start on the same page as my colleagues who are also studying away from home. I have found that the best way to find friends is by being honest with who you are and what you expect from others. It’s okay that some people will keep to themselves as you will also find people that appreciate you. Finding a network of friends and colleagues is the most important part of a successful transition into a new home. Maintain parts of your routine from home: I enjoy having a stable schedule by doing the same types of activities and being around the same group of people. This is impossible to replicate in another country because of the distance and change in culture. One way to avoid feeling homesick is trying to find similar activities and sticking with them. I have found that cooking meals I used to have at home, watching my favorites shows and my favorite activities such as using the fitness center helps me retain my identity. Even better, you will also find people that enjoy the same activities and be able to bond together. I used these three steps to have a successful transition abroad. KU Leuven also has extensive exchange student programs such as faculty lounges and Pangea, a meeting area for Erasmus students that keeps everyone in contact. 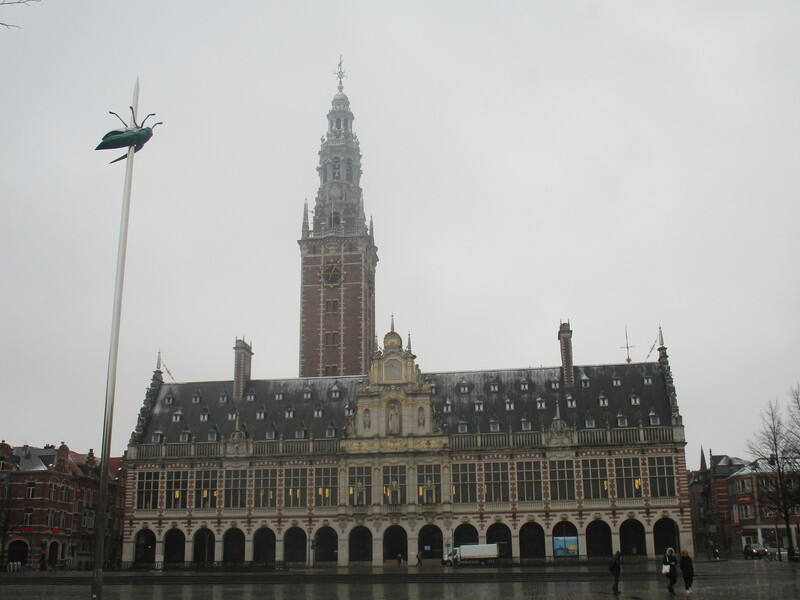 Leuven is a university town with about 100,000 inhabitants and a few kilometers wide creating a student community. 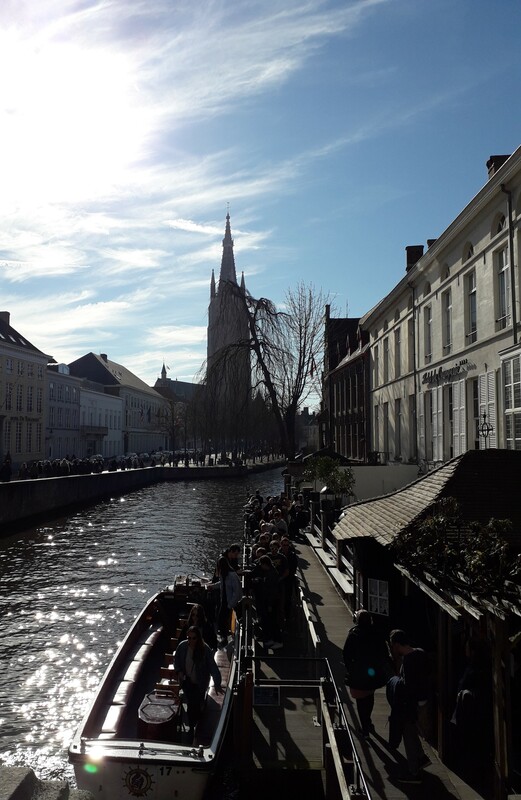 This is one of the best areas on Earth to experience your first time abroad because your residing in a peaceful town while having immediate access to the European train network that allows you to visit multiple countries in the same day. I am happy with my decision to attend KU Leuven and am so grateful for all the people that helped me accomplish it. The Central Library is located in the largest square in Leuven and has been rebuilt following it’s destruction in 1940 during the Second World War. The purpose of my semester at KU Leuven is to write a bachelors thesis in comparative electoral politics. I am working in a directed study with the social science faculty to study the impact negative political advertisement has on democratic institutions. The topic will also compare the impact of these advertisements on American representative elections and Belgian parliamentary elections to see if there is a difference based on the structure of the electoral institutions. This will be my first thesis paper and there is also the added challenge of translating Belgian advertisements from their three national languages, Dutch, French and German into English for coding purposes. I am happy to have chosen this country because most of their domestic elections are in their native language so I would have never been able to learn about their political system at home. Please stay tuned for further updates on my thesis and other stories from Europe! Fantastic! We are so proud of who you have and will become, and you should be most content with where you are and will become. Ok to share this with Clark, and others? I’m hoping you can take your camera into the public library and grab some shots! Also do they have a system of libraries? If you keep writing this, I’ll keep reading. Safe travels, Alex! Hi, Alex I am very happy that you are doing well. Your blog is very interesting and informative. Also, aunty Patty and I are impressed but not surprised that you are growing and learning so far from home. Best wishes. Patty and Louie. Thank you so much for your kind words and support! !